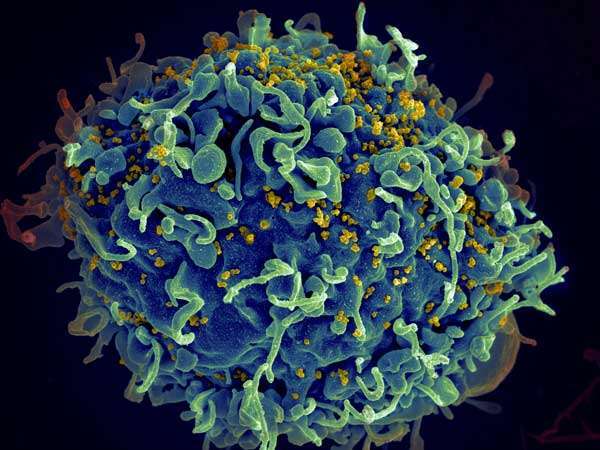 "Early detection of HIV is critical to prevent disease progression and transmission, and it requires long-term monitoring, which can be a burden for families that have to travel to reach a clinic or hospital," said senior author Hadi Shafiee, Ph.D., a principal investigator in the Division of Engineering in Medicine and Renal Division of Medicine at the Brigham. "This rapid and low-cost cellphone system represents a new method for detecting acute infection, which would reduce the risk of virus transmission and could also be used to detect early treatment failure." Utilizing nanotechnology, a microchip, a cellphone and a 3-D-printed phone attachment, the researchers created a platform that can detect the RNA nucleic acids of the virus from a single drop of blood. The device detects the amplified HIV nucleic acids through on-phone monitoring of the motion of DNA-engineered beads without using bulky or expensive equipment. The detection precision was evaluated for specificity and sensitivity. "We could use this same technology as a rapid and low-cost diagnostic tool for other viruses and bacteria as well," said lead author Mohamed Shehata Draz, ¬¬Ph.D., an instructor in the Division of Engineering in Medicine and Renal Division of Medicine at the Brigham.. "This platform could help a lot of people worldwide."